Samsung on March 29 launched the Galaxy S8 and S8+, and the smartphones have already won over the tech media all around the globe. However, there are many that have been criticizing Samsung’s decision to stick with a single camera module, having 4GB of RAM and so on. But I feel Samsung S8 has more features in favour than against. I am not a Samsung fanboy, but we have to accept that Samsung has done what we always wanted to see in Samsung smartphones. Be it a lighter version of the UI, removal of home button, much advanced AI, a Snapdragon 835 SoC, or anything else. Unlike to Apple, Samsung has actually made things better ('new') over the years. 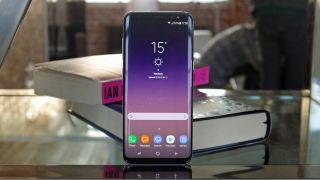 When it comes to the Galaxy S8, there are tons of alluring features like the new immersive display, wireless charging, ​ beautiful design, microSD support, and so on. There are still some features that have gone missing from many lists but are genuinely useful. I have listed the five ignored reasons to buy the Galaxy S8 apart from what we have already noticed. When it comes to the Galaxy S8, there are tons of alluring features like the new immersive display, wireless charging, microSD support, beautiful design, and more. There are still some features that have gone missing from lists but are genuinely useful. If you have already taken a close view at the Galaxy S8, then you must be searching for the old-style home button seen on Samsung phones. So, if the display is taking up all the area and fingerprint sensor is moved to the back, then where’s the home button? Most other smartphones without a home button come with on-screen buttons. To stand out of the crowd, Samsung buried a pressure sensitive sensor under the display. It gives a subtle vibrating response that feels like pressing a physical button, and trust me its not gimmicky. I know Samsung had a lost case in terms of smartphone software—S-voice is one of the examples of its gimmicky software. But Bixby is nothing like what we have seen in the past. It seems like the manufacturer has learnt from its mistake. Bixby is based on a different concept when compared to Google Assistant, Microsoft’s Cortana and Apple’s Siri. Apart from acting as a knowledge bank for all of your questions, Bixby works as a helping hand for your in-phone actions. It actually understands what you are doing on your smartphone and which apps you are using, offering assistance within apps to help you fasten up your tasks by analyzing trends in your behaviour. For instance, you can ask Bixby to send a video or picture you are looking at to anyone in your contacts without even leaving the app. This really helps in making the experience easier, and enhances multitasking. Like any Android smartphone, the Galaxy S8 also has basic level of security features like a pattern, pin, fingerprint. Taking it a notch higher, IRIS scanner is something that is the future of smartphone security. I agree that Microsoft has already introduced the feature in Lumia 950 and 950XL but it didn’t work that well. Moreover, it has a new facial recognition feature that is being called gimmicky by many, but at least Samsung was brave enough to bring this feature in its flagship. First of all, it is not something new when it comes to mobile payment options. But when it comes to India, Samsung Pay is the first such service to hit Indian shores. With a sudden emergence in the digital payment scene in India, this service is something that will be adopted by many in coming years. It is safe, easy to use and fast. It lets Samsung smartphone users to pay for their transactions by waving the smartphone near a supported POS machine. This eliminates the use of card and keeps your payment information discreet. Once again, the feature is not limited only to Galaxy S8, and is added to many other smartphones including the latest iPhone 7. My point here is that Samsung has been pretty consistent with this feature, and I am glad it is used in the latest flagship as well. When you are spending hoards of cash on a smartphone, you do expect something like this. Keeping this fact in mind, I count this feature as a big reason that adds up to the value of this beautiful looking smartphone.